This camp is run for 12-16 year old teens who are children of prisoners. Research shows the children of prisoners are up to seven times more likely to go to prison than their peers. Because of the complex impacts of crime on the family, children often struggle to connect with community and school. They may struggle to learn or aren’t encouraged to finish school; they are often isolated and bullied, or may not receive the support they need because they aren’t ‘on the radar’. 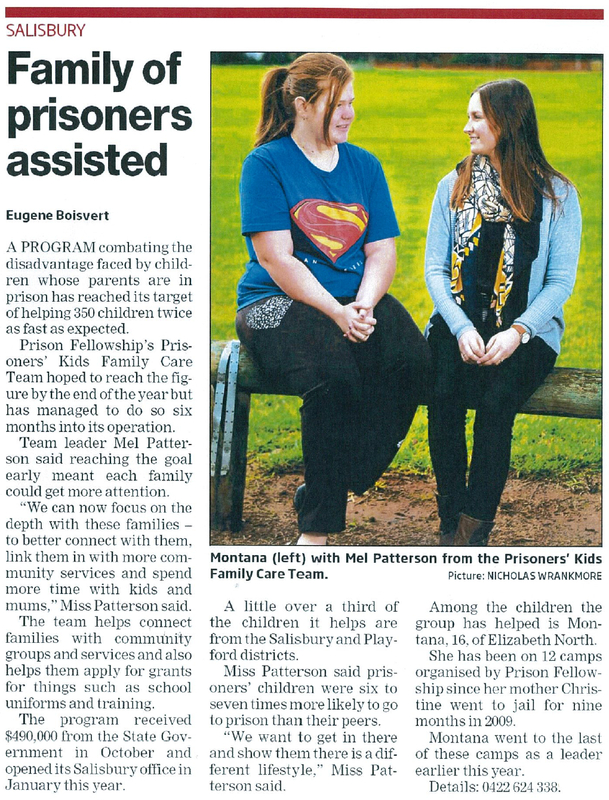 Prison Fellowship Australia (SA) provide eight camps per annum for the children of prisoners including two Teen Girls camps per annum as an opportunity to provide mentoring for at-risk teens. With an absent father these young people need positive mentors in their lives to help steer their behaviour away from criminal tendencies. A positive outcome of the Teen Girls camps has been the emergence of two young women as assistant leaders who have commenced assisting leaders at the Camp for Kids for primary age children (9 – 11 years). 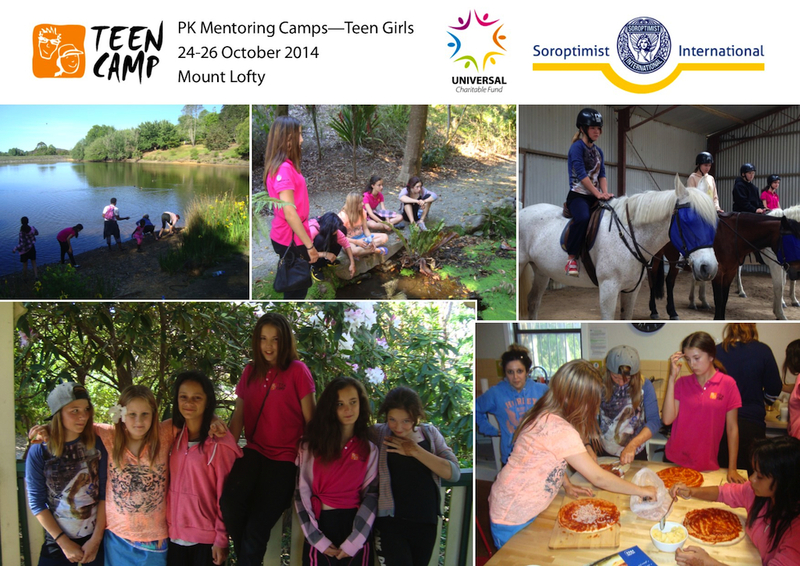 A UCF small grant of $2,000 was sought to support the Spring Teen Girls camp to be held 24-26 October at Mount Lofty YHA. It will comprise five trained leaders and five campers. A program of recreational activities is being planned and through these, values such as trust, team work, respect, manners, courtesy and patience are taught. The grant would cover door to door transport, food, accommodation and supervised activities. There are ten campers including volunteer leaders estimated at $300 each totaling $3,000. Second Chances SA appealed to donors for the balance. This is an opportunity for five or six at-risk young women to be reconnected with leaders known to them and to make new supporting friends. Friendship and acceptance are essential for these vulnerable young women as they receive almost no support from their family circumstances. The criminal associates of some of their parents are negative and they are not all encouraged to continue schooling or equip themselves for future employment. Each of these young women who have had a parent in prison, struggle to have strong social connections with positive peers. Highly trained returning volunteer leaders will strengthen relationships with the campers giving them one-on-one positive mentoring along with a 48-hour intensive, well planned camping experience. The UCF Board was pleased to approve a grant of $2,000 toward this worthwhile initiative and support for teen girls. 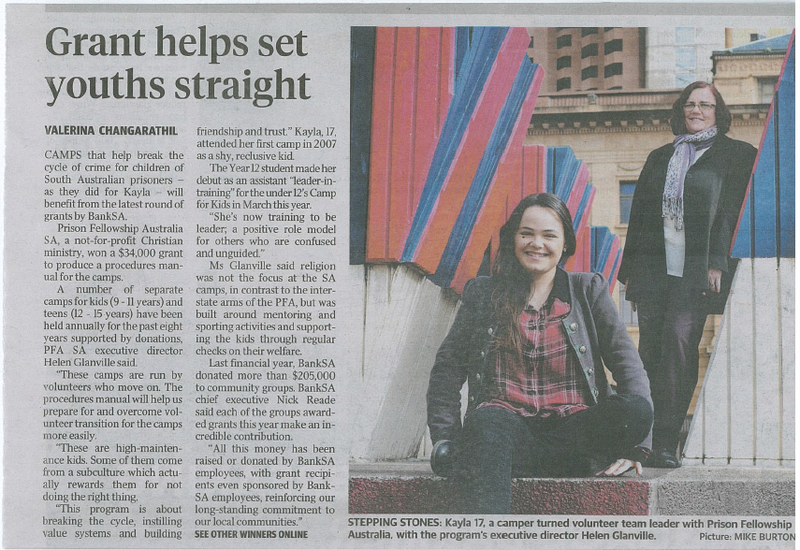 Since 1 February 2015 the Teen Girls Mentoring Camp has been provided by Second Chances SA, formerly known as Prison Fellowship Australia (SA) who were one of the first grant recipients in 2011. “Statistically, we have a minimal drop out rate from the camps. They long to come back to the next camp because of the friendship, the challenging physical programs, teaching of values, learning boundaries and respect for leadership and each other. At the end of each camp the leaders conduct a camp debrief and every camper has stated how much they have learned and how they want to come back to the next one.